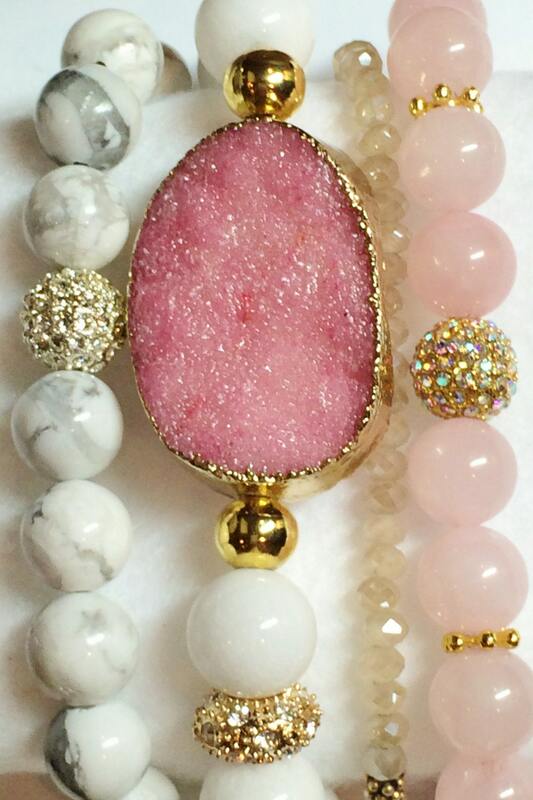 Caviar Collection: Bold with beautiful sparkle and fire in the Druzy Quartz bead. 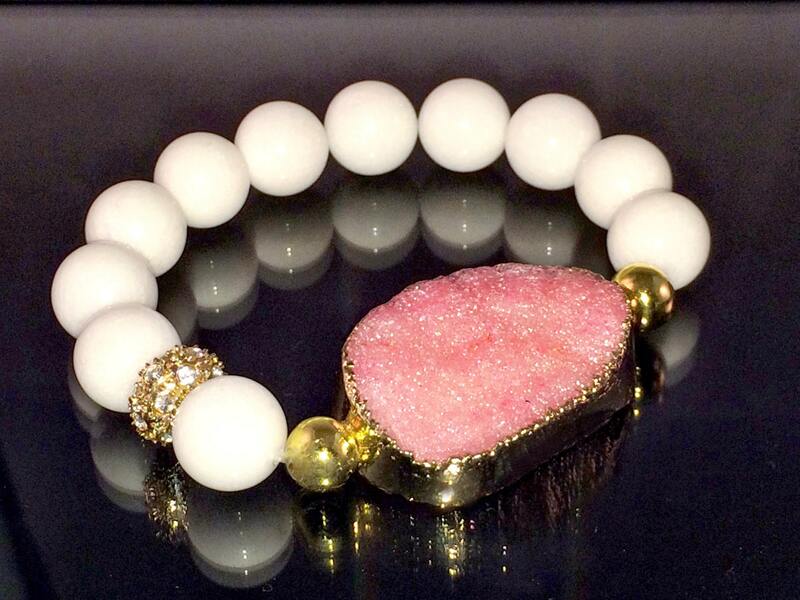 Bracelet is created with; Large Pink Druzy Quartz bead edged in Gold with 12mm White Jade beads and one Gold Pave bead. 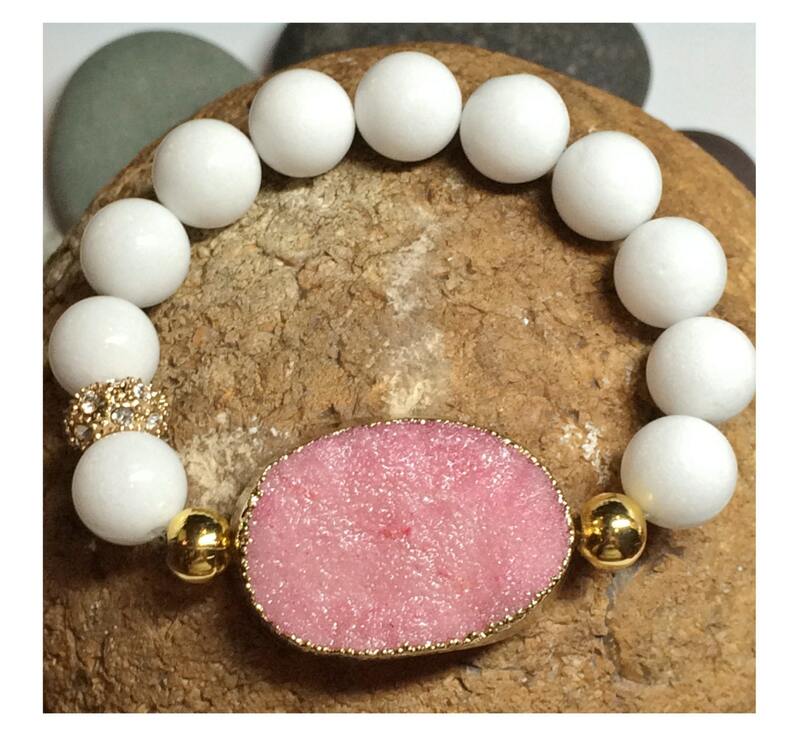 Please note: I have more than one of this Druzy Quartz bead. Because they are natural and not man-made, the sizes and shapes vary a bit. The pictures you see are one bead example. 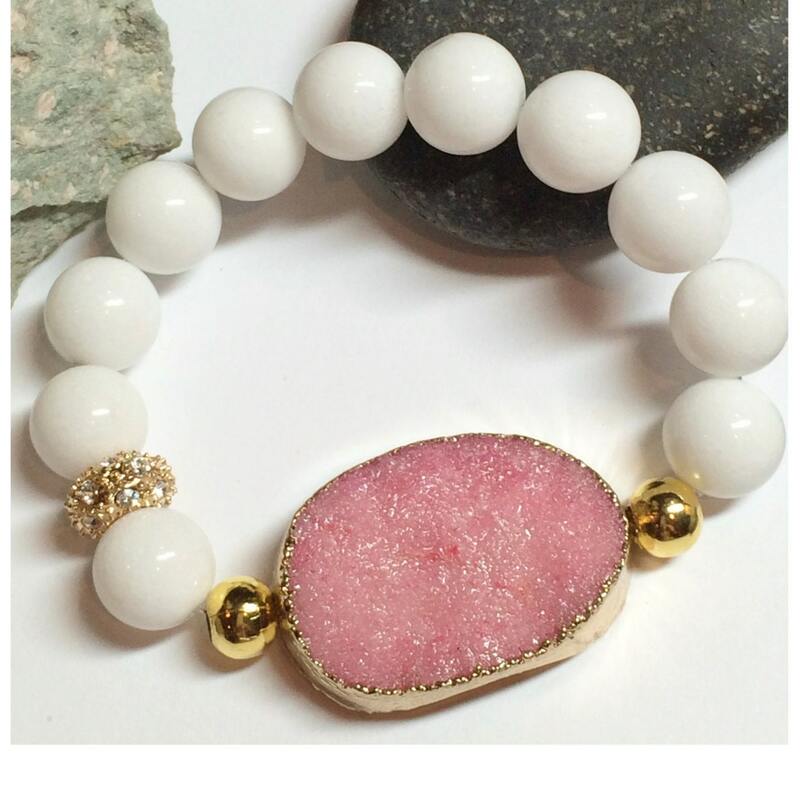 If you are interested, I will send you the exact pictures of the bracelet you will receive and the size of the Druzy (LxWxH). This bracelet can be made in any length/size.